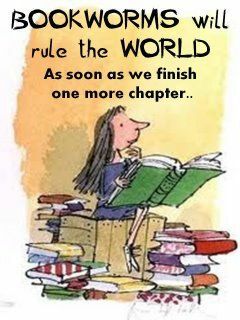 (cartoon) Bookworms will rule the world! Posted in Other Sources.Tagged bookworm, bookworms, reader, readers. Personally, I’d choose the next book. Ruling the world probably doesn’t leave much time for reading unless you delegate. Then what’s the point? Yup. It is one of those books you never outgrow!